At Golf Club Brokers we provide you the ability to quickly sell used golf clubs for cash. This is a 100% safe no hassle transaction and your payment will be sent out one business day after receiving your items. Unlike many of our competitors, we send you cash instead of store credit and you will not have to wait weeks for your money. We offer the best cash values for new and used golf clubs of all types including iron sets, wedges, fairway woods, hybrids, drivers, and putters from leading golf names like Adams, Ben Hogan, Callaway, Cleveland, Cobra, Mizuno, Nike, Odyssey, Ping, TaylorMade, Titleist, Wilson and many more! Sell your golf clubs now with our simple process by selecting your model from the drop down menus. Free shipping for quotes that total $100 or more. Print your label from our website once you complete your quote. Get a guaranteed amount for your clubs with no gimmicks or fees. The trade-in value you see is what you will receive in your check. Get paid quickly with our 1 business day guarantee. Payments are sent out within 1 business day of receiving your golf clubs. 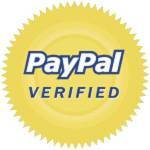 Our payment options include company check or PayPal. For an additional cost we will send it Next Day Air. Golf Club Brokers has been selling on eBay since 2006 with a 99.9% feedback rating and over 34,000 transactions. In addition, we have over 2700 verifed customer reviews on shopper approved with 4.9 out of 5 stars. We will do everything possible to make sure you are satisfied with our service. We will gladly pay for return shipping your golf equipment if you are ever unsatisfied. Save your valuable time by selling your golf clubs to Golf Club Brokers and avoid the hassle and risk of selling on eBay or Craigslist. Quickly get back on the course with your new sticks. We understand that you would prefer to sell all of your clubs to one company. We also understand that you want to receive the highest offer possible for your clubs. Instead of selling your clubs to multiple companies, just let us know if you find a higher value and we will do our best to match it. Click here for our full price matching policy.